January is coming to an end, which means that roughly 8% of the year has already come and gone. However, we have already seen the release of a couple crypto games, as i sthe case of Plasma Bears, Marble Cards, and even the eyebrow-raising Hero of Cryptoworld (check the blog entry for all the details that we gathered). If January is anything to go by for the rest of the year, then you’re likely to assume that 2019 will be an exciting year in terms of new releases. And you wouldn’t be wrong. Although not as prolific as January (those three games came out in the space of a few days), the rest of the year has plenty of exciting upcoming games that deserve recognition as potential game changers in crypto gaming as a whole. Today, we’re looking at some of these games that we and Gamie are waiting for with bated breath. Short description: Collect and trade bobblehead figures of your favorite MLB players and put them in your game card. 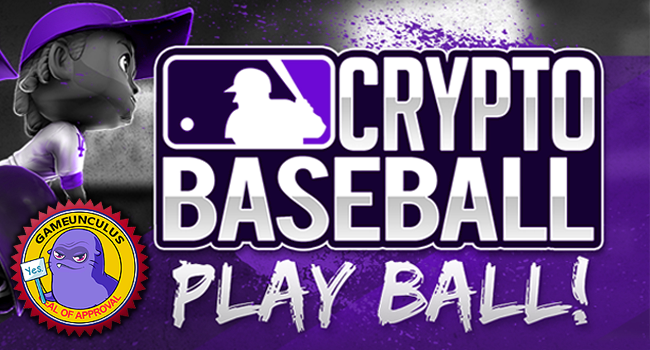 The results of real-life MLB games will affect your performance and rewards in MLB Crypto Baseball! Yes. We are aware that this game was already released in 2018, hence its honorable mention status. The reason why an already-released game is among the most anticipated games of 2019 is because the real-world MLB is during its offseason right now, and since MLB Crypto Baseball is based on real-world results, it means that they’re gearing up for their 2019 season as well. The 2019 MLB season starts this March, and it brings some interesting things to the table. Team events and the addition of a bench are among the updates (which you can read in full here. However, the main reason why they’re here is because of what we’ve brought up before—they're a licensed game. A licensed crypto game is a rare sight. Like a shiny Pokémon. But if the license is a high-profile one, like the multi-million industry that is American baseball, it’s even rarer. Like a shiny starter Pokémon. Now, we’re not saying that MLB Crypto Baseball is the game equivalent of a freaking black Charizard, but it’s still something that’s highly anticipated. Imagine the things that could potentially happen if this high-profile licensed game has a successful 2019. Description: Taking inspiration from popular trading card games like Magic: The Gathering and Hearthstone, Gods Unchained builds upon the classics and offers new exciting features, such as a Battle Royale mode, a player marketplace and six possible allegiances to different gods that affect your playstyle. Stage of development: The closed beta started at the end of 2018. Currently, the open beta is two updates away, the first of which should be rolled out within the next week. Estimated release: There is no tentative release date. However, the open beta (two updates away from release) is scheduled to last for three months for balancing reasons. Once the beta has been balanced, the next step in the roadmap is the Official V1 Launch. 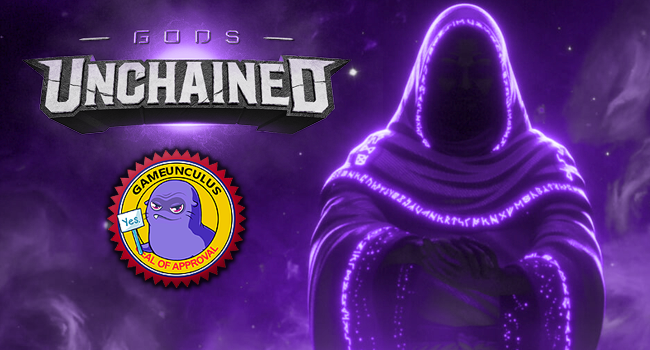 Were you seriously not expecting Gods Unchained to be on the list? That would be like reading a list of most anticipated mainstream games of 2019 that doesn’t include Kingdom Hearts III. Gods Unchained has many reasons why there are people anxiously awaiting its arrival. The biggest one perhaps is how good it looks, it looks like a AAA game that can hang with the best of them. Additionally, they also have the right people in the right positions (@ADWCTA, a Hearthstone competitor and player who is also working as a game designer for balancing issues), and if that isn’t enough to be excited, Gods Unchained has the 2nd most expensive TCG asset ever, surpassed only by Magic’s Alpha Black Lotus. Short description: A multi-platform blockchain game about the apocalypse, underground shelters, artificial intelligence and a mysterious god-looking leader (we got it all from their teaser, so if the game is not about that, don’t blame us). The gameplay is on Loom, while items and trading are on Ethereum mainnet. Stage of development: 54% (how did they estimate it so accurately?!). Estimated release: some unofficial sources mention May 2019, but how is it possible, if the game’s only 54% ready and has been in development for at least a year? Neon District reminds us of a highly-classified military protocol. Seriously, just take a look at their official website. Not much info, right? But the guys behind Neon District have already launched 2 games: Pineapple Arcade and Plasma Bears, and their highly anticipated and top-secret project has garnered a $13M valuation. Gamie, stop counting other people’s money, what about gameplay? Well, you’ll be able to develop your character’s skills and stats, collect and craft items (weapon, armor, etc) and explore the broken world full of dangers. What if the main reason for Neon District being so popular is the devs’ reluctance to reveal details?! Well, then it worked out fine, cause thousands of fans are patiently waiting for the release and the devs are honorable guests at any crypto game conference. Short description: A turn-based one-versus-one fighting game where you can equip your fighter with a wide variety of weapons and armor. These items are ERC-1155 tokens, so you can buy and sell them in the marketplace. Dice rolls are also an important factor, so matches are always open for surprises. Stage of development: The game is at the second stage of its roadmap, which consists of development of their battle arena. Estimated release: TBD. However, the mobile app for Google Play is the next stage in their roadmap. CryptoFights might not look like a AAA game, it might not be backed by a prestigious license, and its core gameplay mechanics might not light the world on fire, but they must be doing something right to be included here, right? Well, that answer lies in their pre-sale. This chest pre-sale that offers chances at legendary pieces of armor for $25 a piece, but the real stars of the show are the community rewards—once a certain milestone for number of chests sold is reached, a certain weapon is given to everybody who contributed, giving chest buyers an early chance at powerful and exclusive items. Sure, community rewards in pre-sales are nothing out of this world, but what sets them apart is how they present the sale. If you follow them on twitter, then that means you are constantly receiving updates as to how many chests are left for the next reward. Hell, you can even see how many chest have been sold right now! Take note, fellow game devs and studios, that’s how you keep your audience engaged. Short description: A futuristic game set on the opposite end of the galaxy. “Mechs” are the enemy, AI machines that take every piece of technology they find to stay alive. Stage of development: Up until now there are combat missions. Estimated release: “Available soon on PC” is all we get guys. This game is part of the Enjin Coin Multiverse of Games (just like CryptoFights is), which means interoperability and a shared set of items with other Enjin Multiverse games. This game has been in development since in 2017, which is plenty of time for a game to cook in the oven. In fact, this game has changed quite a bit, since it has at first envisioned as a text-based adventure, and is now being developed as an open-world game. Talk about changing drastically, huh? If that genre change saddens you though, you don’t have to worry, since they still released a text-based adventure game you can check here. Age of Rust is a game that promises a big open world with lots of puzzle solving, something that clearly not many crypto games can boast about. Besides, just take a look at some of the screenshots they have on their website. They’re stunning. In the end, there are multiple reason why these different games are so anticipated. Some of them look like they have a huge production value, some are backed by important real-life licenses, some have been killing it on social media, and others just look plain fun and interesting to play. Time will tell whether these games satisfy our gaming thirst or we are left blueballed. In the meantime, all you can do is wait and hope for the best.